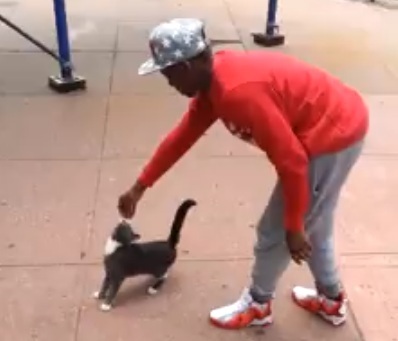 In September of last year, Andre Robinson became the focus of many animal rights activists after a video of the young man kicking a cat through the air and laughing was posted to the web. Charged with several counts of animal abuse, the man faced charges that could have landed him in jail for up to a full year. This past week, however, the most serious charge against him- torturing and injuring an animal- was dropped by the state Supreme Court judge overseeing the case. The judge stated that prosecutors failed to demonstrate that the feline had been injured and instead allowed for the addition of a charge for attempted animal torture and injury. This charge carries a maximum penalty of 90 days in jail, though the more serious charge may be reinstated if prosecutors return with evidence proving that the cat was injured. According to The New York Times, many animal activists are frustrated by this decision and continue to attend Robinson’s hearings. The cat, King, has since been adopted and is currently healthy and living in a loving home. 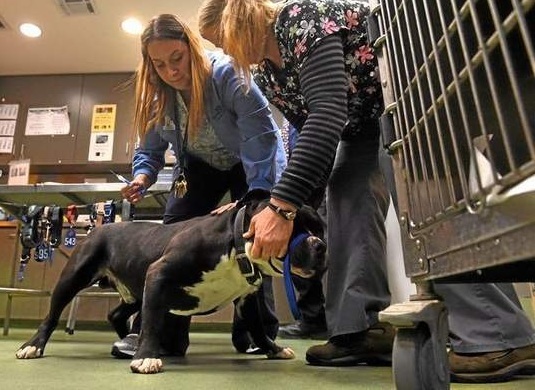 Microchips can be extremely useful in the location, identification, and recovery of a lost pet; and thanks to one nonprofit, thousands of these microchips are now readily available for those wishing to adopt a pet from shelters in the San Bernardino County. The Sun reports that this donation is valued at $27,062.50 and required approval from the county’s Board of Supervisors. This is the third donation of this size made by the nonprofit since 2012. Each donation has helped shelters lower the cost of adopting a pet, allowing for more adoptions and giving more pets a home. The microchips are easy to install and offer a unique identification number to each pet. In 2014, the chips helped return 668 animals to their owner across two shelters. A Santa Ana house fire nearly took the life of a young Chihuahua named Millie that was trapped in the home while it burned this past Wednesday. The house was consumed by the flames, but Millie managed to escape the scene nearly unscathed thanks to a dog sweater she was wearing at the time. When Millie was recovered by rescuers, she had severe burns on her paws and tail and the sweater had melted to her fur. Once the sweater was removed, rescuers were pleasantly surprised to discover that it had prevented her body from suffering the same third-degree burns that affected her tail and paws. According to veterinarian Dr. David Weber, she owes her life to the protection offered by the garment. 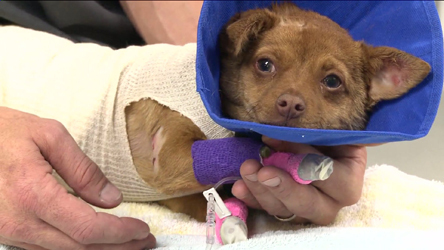 KTLA5 reported that Millie is currently recovering as her family seeks help to recover from the fire. Though sweaters may not always save your pup from a fire- they can still be extremely useful for keeping your pet warm during the winter. Many dogs have shaggy coats and are perfectly comfortable au naturale, but even some winter breeds can benefit from winter attire given the right circumstance. So how do you know whether or not your pup could use a winter coat? Just ask Sarah Wilson, dog expert. Sarah Wilson has a master’s degree in the human-animal bond and has been consulting for television stations and magazines for years. 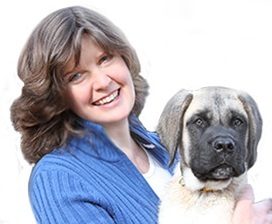 In addition to writing several books on the subject, Sarah has been posting useful information for dog owners to her blog for years. This past week, she posted a concise guide of considerations to make when deciding whether or not to purchase a sweater for your pup. We encourage you to check it out; and if your dog fits the bill- check out our wide selection of winter apparel for pups!